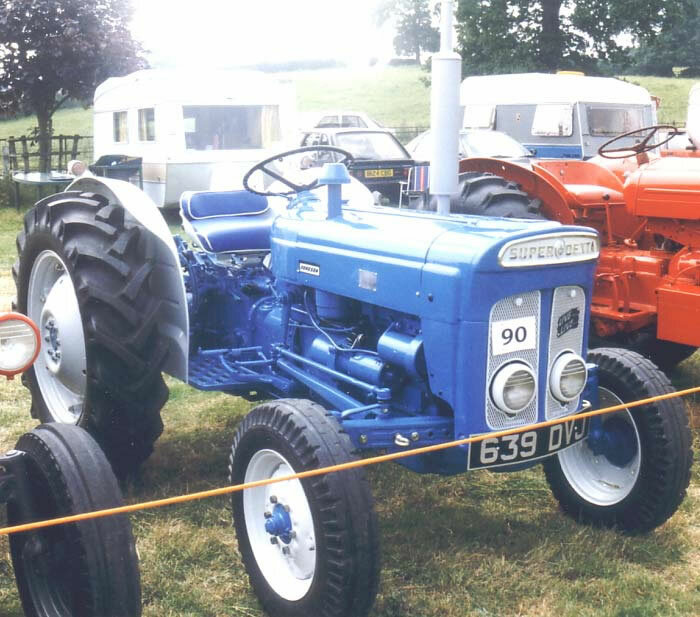 The Fordson Super Dexta was launched in 1961 as a more powerful addition to the Dexta range. Power output from the three cylinder diesel engine was 39.5 h.p. In 1962 by increasing engine revolutions up to 3,000 rpm the Super Dexta engine power output was further improved to 44.5 h.p. At the same time the former blue and orange colour scheme was replaced with the new blue and white livery.